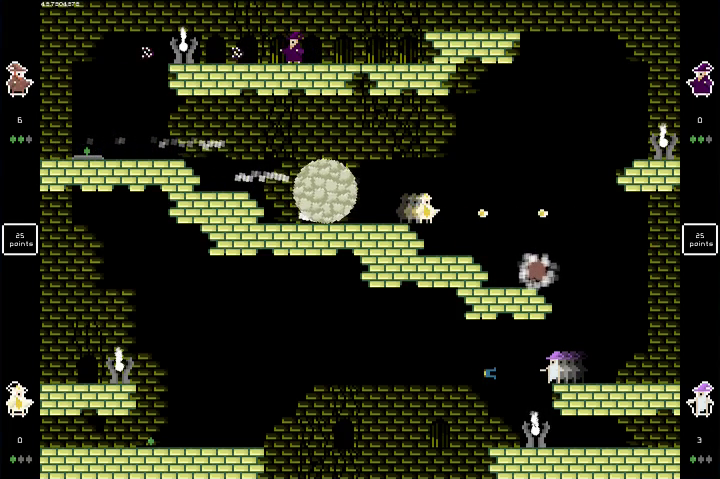 A game about dueling wizards and not really caring that all you can do is freeze the level while that other guy can draw lightning bolts from the sky. 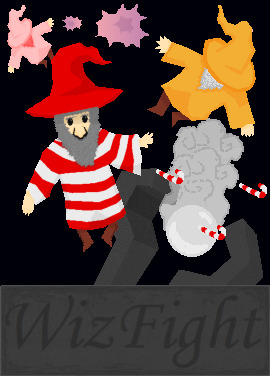 WizFight is a high speed deathmatch game featuring over 25 wizards, each with a unique and devastating power. The game is played in small, side-scrolling arenas with 2-4 players in a variety of modes including classic deathmatch, king of the hill, and horde modes that hearkens back to the days when people gathered around one TV to play games together. As of January 19th, 2018, the full version of the game is free. It is also now open source. You can find the source code here. While a Mac version is available, only the Windows version is confirmed to work at this time. If you are a Mac user and happen to play the game, be sure to let me know how it runs. Bugs? Issues? Concerns? Praise? Hate mail? Email me. 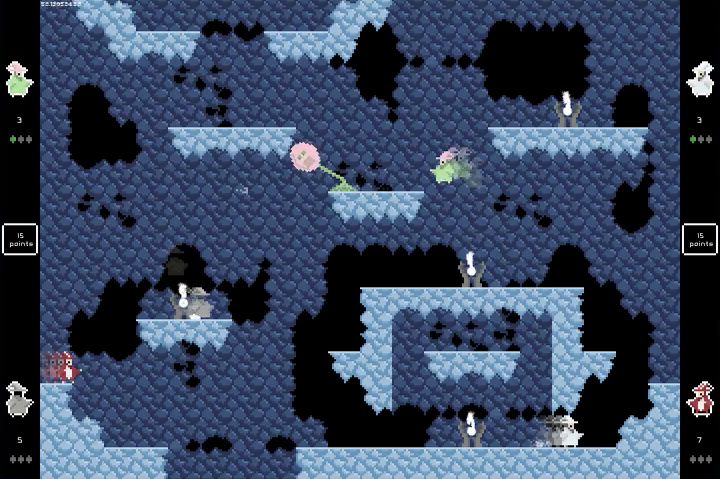 High speed multiplayer deathmatch gameplay. Over 35 unique wizards, each with their own unique power. 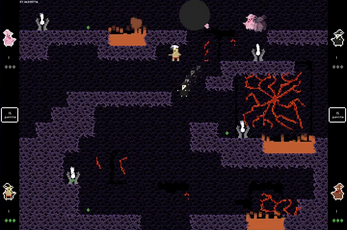 Four different gameplay modes, including classic deathmatch and king of the hill. Support for Xbox 360 gamepads. 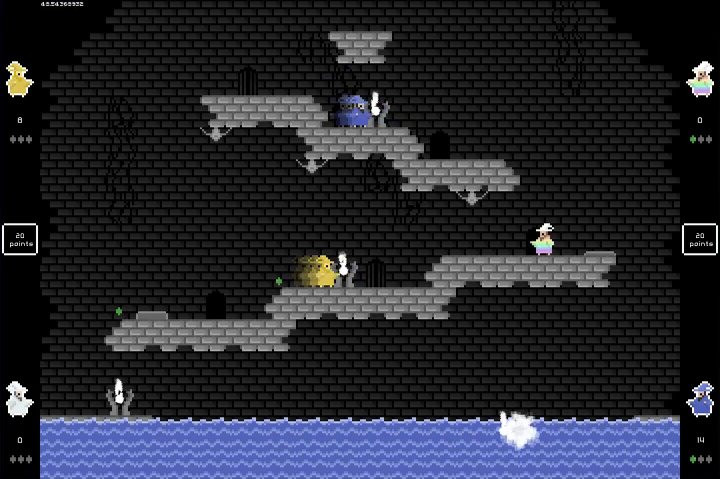 Support for custom levels, each with their own tilesets and music. Moddable monsters for the aforementioned single-player/co-op mode.